Among the 1000 to 8000 alloy series, the 7000 series aluminum alloy is a heat treatable alloy, belonging to the aircraft series, and belongs to a relatively high-end field in aluminum sheets. 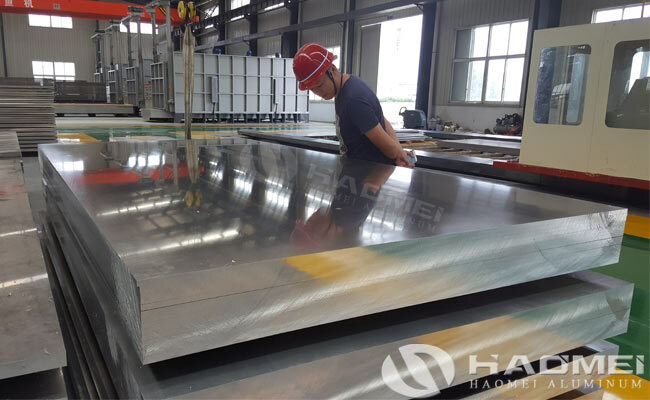 The 7075 aluminum sheet is a representative product of the 7000 series, it is aircraft aluminum sheet with aluminum magnesium zinc copper alloy, can be heat treatable, has super hard ability and good wear resistance. 7075 super hard aluminum sheet is 7000 series representative alloy, after stress relief, it will not deform and warp after processing. All the ultra-thick and ultra-wide 7075 aluminum sheets are all ultrasonically detected to ensure no blisters or impurities. The 7075 aluminum sheet has high thermal conductivity, which can shorten the molding time and improve work efficiency. The main features of 7075 aluminum are high hardness, high strength, which is commonly used in the manufacture of aircraft. 7075 aircraft aluminum sheet is a high-end product in the field of aluminum processing, and is widely used in aviation aluminum alloy materials. At the same time, new areas of 7000 series alloys have also been explored in some consumer products. For example, in the body of the Apple Iphones, the material used is the higher-strength aviation-grade 7000 series aluminum alloy. Due to the addition of zinc, its pressure resistance is far superior, which is more difficult to bend in daily use.